I’m female comic artist from Poland. I mainly create drawings and scenario for my own stories but sometimes also cooperate with other writers. Except drawing comic books I also work as a concept artist and illustrator. 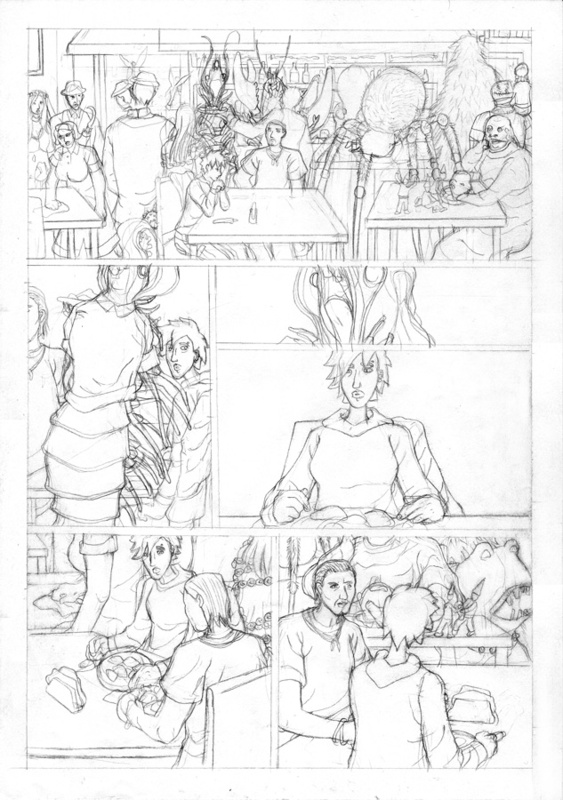 It’s rough page from my another project - side story to graphic novel I’m currently working on. Graphic novel is urban fantasy/horror/slice of life story. I’m creating this side story mostly for fun and practice - I try to draw more realistic faces. Here’s also a lot of strange creatures to draw. Welcome to Comics Lifestyle! We don't hear much about Polish comics, I am looking forward to learning more! You have a clean style, nice use of black and white! Hmm.... would you be interested to add your blog to the 'Monster Blog Feed'? You would be a welcome addition!